Are advisors’ views of the markets correct? 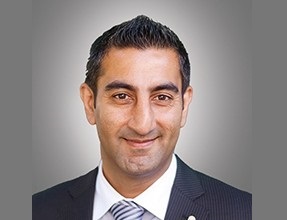 After a recent study conducted by Horizons ETFs found that Canadian investment advisors expect Canadian stocks to continue to perform well in the first quarter of 2017, we caught up with Sadiq S. Adatia, Chief Investment Officer at Sun Life Global Investments, to get his view on the current state of the markets. Adatia thinks Canadian equities have the potential to perform well throughout the rest of the year, although he does not foresee a repeat of 2016’s performance, when a lot of stocks rebounded well after reaching all-time lows. From an asset allocation perspective, Adatia thinks investors should consider being overweight the U.S. market at the moment. Away from the disruptive noise around the Trump administration, the U.S. has strong growth, good unemployment numbers, and households currently have record levels of wealth. “There are a lot of good things going on and if Trump can put through the additional stimulus package of tax cuts and additional spending, we’re going to get a much stronger U.S. economy, which is better for the U.S. equities market,” Adatia says. With higher yields, the potential for deregulation and increased wealth leading to more lending, Adatia expects U.S. financials to perform particularly well. “We’re also in the early stages of an interest rate cycle, so financials are going to continue to benefit from that,” Adatia says. Adatia sees many benefits for advisors who utilize a third party to make investment decisions. Money managers can keep a close and dedicated eye on investments and have the ability to scale and tactically adjust as needed. “That allows advisors to focus on financial planning and gives them more time to interact with their clients day-to-day,” he says.